Jojoba Oil from Now Foods provides pure, multi-purpose moisturizing oil for your skin, hair and body. 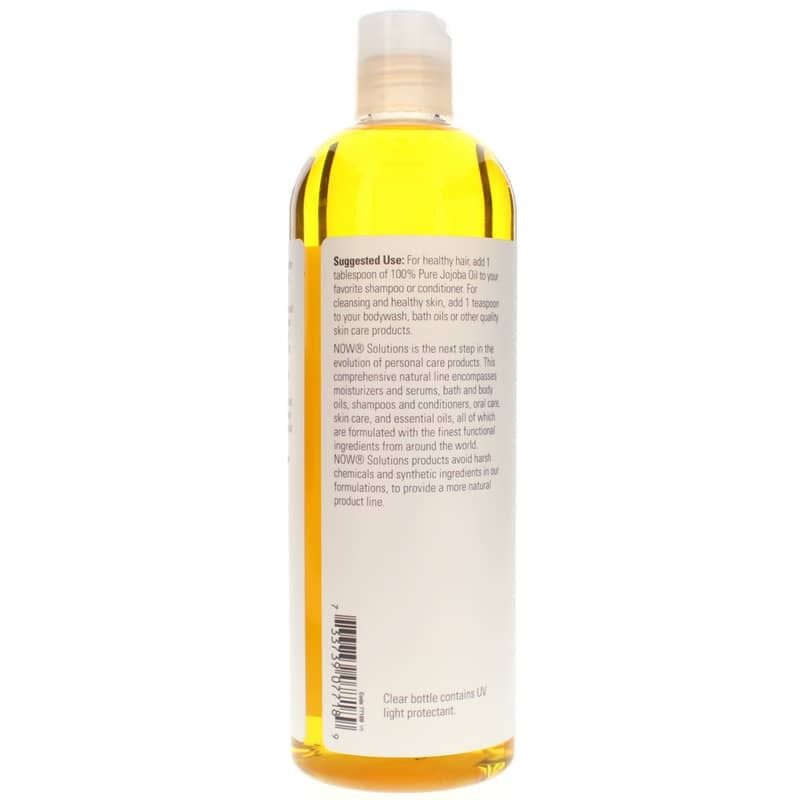 You can add this pure jojoba oil to your general bath care routine, or use it as the perfect and massage oil. A liquid wax derived from the shrub's seeds, jojoba oil hydrates your skin, hair and nails while supplying nutrients. And as well as providing a protective coating on your skin to keep bacteria and grime out and moisture in, this waxy oil also helps you to reduce and avoid wrinkles and stretch marks. Jojoba also possesses antibacterial and other beneficial properties, so it may help with acne and skin wounds, as well as with soothing mild infections. Its high stability, invigorating scent and cosmetic versatility make it perfect for all skin and hair types, and it is most often used to promote softer hair and skin. 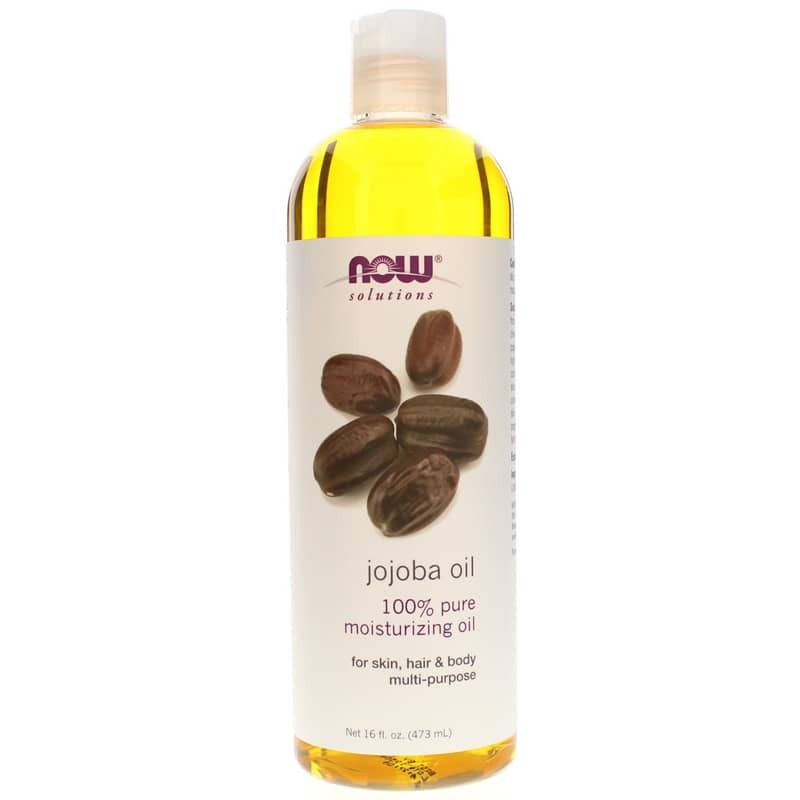 This jojoba oil is part of Now Foods' Now Solutions, the next step in the evolution of personal care products. This natural line includes anti-aging moisturizers and serums, bath and body gels, shampoos and conditioners, oral care, skin care, and essential oils, all of which are produced using the best functional ingredients from around the world. Now Solutions contain no harsh chemicals and synthetic ingredients, to provide a more natural product line. For healthy hair, add one tablespoon of jojoba oil to your favorite shampoo or conditioner. And for deep pore cleansing and healthy skin, add one teaspoon to your body wash, bath gel or other quality skin care products. 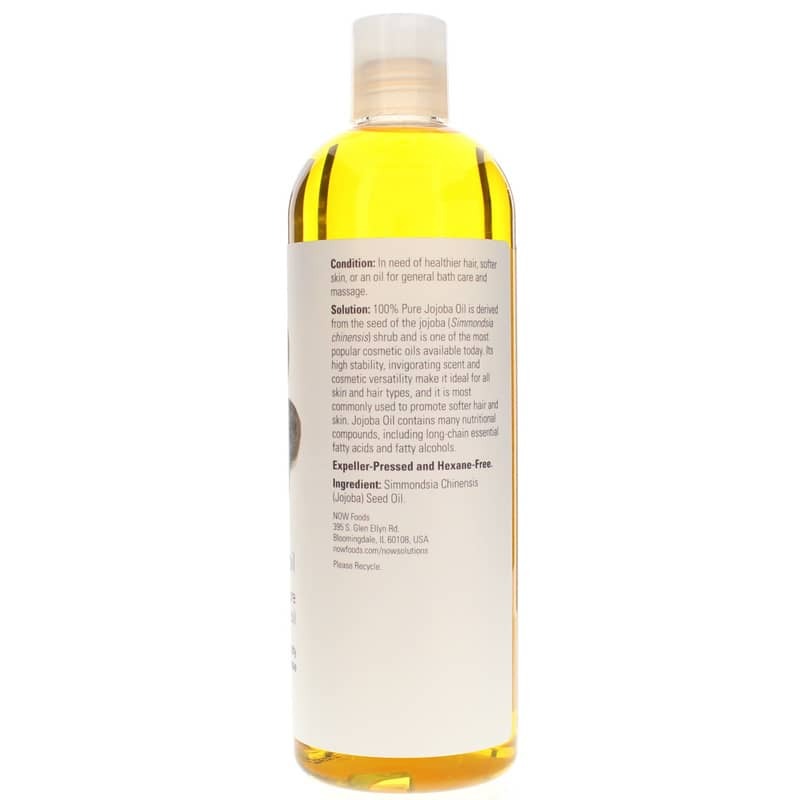 For healthy hair: add 1 tablespoon of 100% Pure Jojoba Oil to your favorite shampoo or conditioner. For deep pore cleansing and healthy skin: add 1 teaspoon to your bodywash, bath gel or other quality skin products. Jojoba oil feels very silky. I use it as a cleaner and moisturizer for my face and scalp. I would recommend it to anyone. The only thing I did not like about this bottle is the pop open top that it has, it can be a little messy. I got some jojoba oil to try for free and at first I was a little unsure what to do with it. But after a little reading and trying, I use it every day and am definitely making this a staple in my personal care routine.I have combination skin - I struggle with acne but I also get dry patches. And with dry winter air, my whole body has been so dry and scaly. Jojoba is perfect. It helps balance my face and never makes it too oily (I put it on before bed mixed with Wyndmere's Clearer Skin essential oil blend). It's also a great pore cleanser for the whole body. And so moisturizing! I've yet to find a body lotion that really delivers for dry winter skin. Jojoba gives amazing moisture (again, I usually put it on before bed). Seriously one of my favorite beauty products. Supper fast shipping. Will order again.